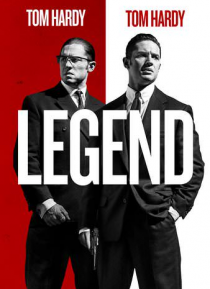 From Brian Helgeland comes the true story of London's most notorious gangsters, twins Reggie and Ronnie Kray (Tom Hardy). As the brothers rise through the criminal underworld, Ronnie advances the family business with violence and intimidation while Reggie struggles to go legitimate for local girl Frances Shea (Emily Browning). In and out of prison, Ronnie's unpredictable tendencies and the slow di… sintegration of Reggie's marriage threaten to bring the brothers' empire tumbling to the ground.